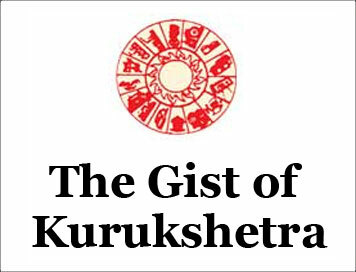 (The Gist of Kurukshetra) INNOVATIVE ENTREPRENEURSHIP AMONG RURAL YOUTH [JANUARY-2019] | IAS EXAM PORTAL - India's Largest Community for UPSC Exam Aspirants. India has emerged as one of the leading economies of the world with an average growth rate of around 7% per annum in real gross value added at factor cost during the last decade. There has been a good economic progress in the field of manufacturing, construction, transport & communication, real estate, information technology and service sector. The young generation of the country particularly the rural youth can play an important role in accelerating the process of growth in rural areas and thus bridging the rural-urban economic divide. In fact, youth are more creative, innovative, enthusiastic, vibrant and dynamic in nature. They have strong will-power, passion and motivation to foster economic development. While most of the developed countries of the world face the risk of an ageing workforce, India is having a favorable demographic profile. On the basis of its demographic dividend, India is poised to become the fourth largest economy in the world after USA, China and Japan. Government Schemes for Rural Entrepreneurship: Realising the importance of rural youth in the process of economic development, Government of India has taken various steps and launched various schemes to empower them through developing their innovative entrepreneurial skills to achieve the motive of continuous & sustainable income and employment generation in rural India. Education and training is essential and basic requirement for promoting skill- oriented enterprises in rural areas. It is necessary to provide adequate opportunities for rural youth to participate in technology based educational and training programs. In this context, Samagra Shiksha launched by Government of India aims at enhancing the learning outcomes at the school level with the use of technology to empower both taught and teacher. It encompasses previous three schemes Sarva Shiksha Abhiyan, Rashtriya Madhyamik Shiksha Abhiyan and Teacher Education by unifying the learning from pre-school to class XII. It also focuses on promoting vocational education to make it more job-oriented. Quality of human resources in the form of skill and knowledge is crucial for economic development of a country. In order to coordinate the efforts of all stakeholders in the field of skill development & entrepreneurship, the Government of India formed Department of skill Development & Entrepreneurship on July 31, 2014 which subsequently led to the setting up of Ministry of skill Development & Entrepreneurship on November 10, 2014. In a bid to improve employability of workers, National Skill Development Mission was launched on the occasion of World Youth Skills Day in 2015. This mission aims at consolidating and coordinating the skilling efforts at the national level. The mission aims at providing formal training to nearly 400 million people across the country by 2022. Further, in order to promote employment in agri-based vocational areas in agriculture & allied sector a programme named as Skill Training of Rural Youth has been launched. It offers modular skill training opportunities to rural youths in farm and non-farm activities in accordance with the requirement of local agro-based industries. A skill training and placement programme of the Government named as Deen Dayal Upadhyaya Grameen Kaushalya Yojana was launched 25 September 2014. It occupies a unique position among the skill training programs due to its focus on the rural poor youth in the age group 15-35 years. Under this programme, it is mandatory to give minimum 160 hours of training in soft skills, functional English and computer literacy etc. to transform rural poor youth an economically independent and globally relevant workforce. Additionally, it also emphasizes on the generation of sustainable employment through post-placement tracking, retention and career progression. Presently, DDU-GKY is being implemented in 568 districts of the country. Up to 30 November 2018, over 6.36 Lakh persons have been trained and nearly 3.5 Lakh have been placed in various jobs under this scheme. Pradhan Mantri Kaushal Vikas Yojana was launched by the government of India under the National Skill Development Mission on 15th July 2015. Under this scheme, industry relevant short term skill training is provided to the youth to enable them secure a better livelihood. It is a reward based skill training scheme which provides financial incentive to the youth who successfully complete an approved skill training programme. Another centrally sponsored project for upgrading skills & Training in Traditional Arts/ crafts for Development, popularly known as Project USTTAD has been launched by Ministry of Minority Affairs. I aim at capacity building and updating the traditional skills of master trainers/artisans belonging to minority communities, BPL families in the traditional art/craft fields of their choice. The trainees should be between 14 to 45 years of age and at leas class V pass. The project envisages preserving and promoting the rich heritage of traditional arts & crafts like wood & bone carving, zari work, phulkari, tie & dye, gems & jewellery, patch work, embroidery, durry making and so on. On 7th October 2017, Pradhan Mantri Gramin Digital Shiksha Abhiyan was launched to impart digital literacy in rural areas with the aim to empower at least one person per rural household with crucial digital literacy skills. Under this Abhiyan, rural people between the age group of 14 to 60 years are being trained without any fees to operate computers, tablet, smart phones, etc and access government e-services, undertake digital payment, compose e-mails through the use of internet. PMGSISHA is expected to make around 40% rural households in country digitally literate by March 2019. In an endeavour to promote the culture of innovation and entrepreneurship by creating a scientific temper among the youth, Atal Innovation Mission has been set up at NITI Aayog. It aims to improve vision of the students who can enhance their creativity and transform them into innovators of the new technology. Under the mission, selected schools are provided financial aid to establish tinkering laboratories where students from class VI to XII give shape to their innovative ideas and entrepreneurial skills. In the next step, Atal Incubation Centers are established to nurture innovative start-up businesses to become a successful entrepreneur. Succinctly, it can be concluded that, agriculture & allied sector still continue to occupy a predominant position in providing livelihood to rural population, ensuring food security and providing impetus to the growth of other sectors. Many schemes and programmes have been launched by the Government with special impetus to create scientific temper and foster the spirit of innovation among the rural youth. These schemes through their hand-holding support provide an excellent opportunity to the young rural entrepreneurs to initiate, establish and run their enterprises successfully. To conclude, rural youth are contributing enormously for sustainable development of agriculture and rural economy. With the help of various government initiatives, they will further strengthen rural development efforts of the government.